Give yourself a break, says researcher, author and professor Leslie Perlow. Sometimes self-destructive workaholic behavior can get so out of hand there's only one recourse left: an office intervention. 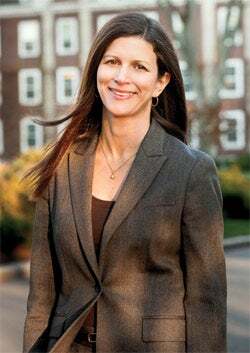 Enter Leslie Perlow, a Harvard Business School professor of leadership armed with an eagle eye for counterproductive work styles. As with any intervention, Perlow's subjects know there's something wrong, but they're usually reluctant to budge from their self-inflicted pain. It took her six months to find a team at The Boston Consulting Group (BCG) that would allow her to run an experiment that would challenge the long-standing assumption that 24/7 availability was essential to success. Half the executives in a survey she conducted worked more than 65 hours a week, not counting some 20 hours spent monitoring their smartphones. She wanted to see what would happen if BCG consultants--gulp!--took a full night off per week. Despite the initial angst set off by the strategy--a concept she called "Predictable Time Off" (PTO)--it turned out to be a big hit. Productivity didn't drop; rather, it increased, as team members were forced to improve coordination. Such changes can be a little squirmy initially. "It's incredibly anxiety-provoking to turn off when you're not used to turning off," Perlow says. One guy in the program who went to the barber on his midweek day off told her, "I had to tell everyone I hadn't been laid off."